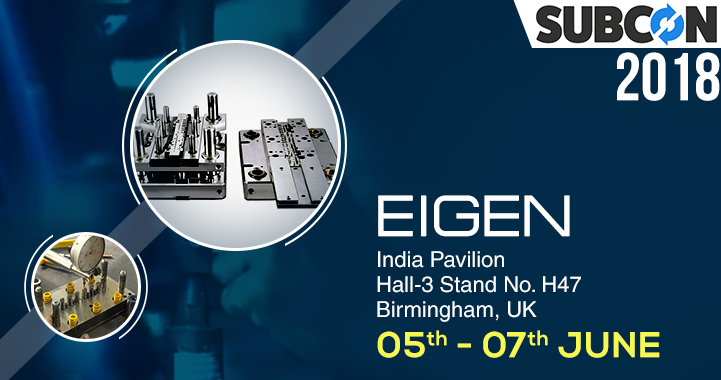 We are delighted to announce a perfect platform for Eigen team when we attend the UK’s Premium Subcontract Manufacturing Supply Chain Show; the SUBCON. This event will be held on 5-7th June NEC Birmingham. This is where the top decision makers in the technology domain will be present. Eigen team feels privileged to attend this International event along with over 4000 top industrial leaders from across the globe. This is one of the melting pots for the future of technology, where top industries will showcase their best, make contacts, and it is no different for Eigen. A perfect place for engineers to source their top of the line and advanced technology products here. It is a golden opportunity for us to showcase our talents, contributions toward the engineering domain, and speak about the latest trends and developments in Engineering. We are looking forward for the intense sessions where we increase awareness of our brand, influence and target audience from engineering niche, and have personal sessions with the decision makers.